George Edward “Ed” Hewitt, 80, Kokomo, passed away at 10:07 pm Thursday, August 2, 2018, at Community Hospital North in Indianapolis. He was born August 3, 1937, in Anderson, the son of the late Lowell & Irene (McNalley) Hewitt. On October 30, 1955, he married Linda Rakestraw and she survives. Ed was a 1955 graduate of Sharpsville High School. He served with the National Guard. Ed was the president and founder of Hewitt Tool & Die, where he was a journeyman, die maker and designer for 52 years. He was a member of Crossroads Community Church, was active and had attended Abundant Life Church, and former member of Family Worship Center. Ed served on the Taylor School Board and the Kokomo Rescue Mission Board. He had a passion for flying and was a CFII, Certified Flight Instrument Instructor for both the Kokomo and Glendale Airports. 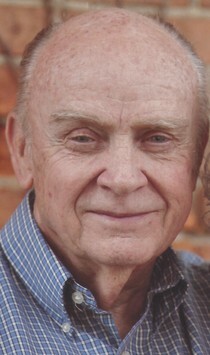 Along with his wife Linda, Ed is also survived by his children, Doyle (Julie) Hewitt, Teresa (Joe) Williams, Donna (Jim) Lasley, Kevin (Tracy) Hewitt, Rachel (Trey) Hill, and Erika Hewitt, along with 17 grandchildren, and 25 great-grandchildren; siblings, Lowell Kent (Ruth) Hewitt, and Sondra Burnett. A ”Celebration of Life” service will be held at 10:00 am Saturday, August 11, 2018, at Abundant Life Church, 1025 E. 400 S., Kokomo, with Pastor Charles Riley & Pastor Jeff Harlow officiating. Family will receive friends after the service in the foyer. Memorial contributions may be made in Ed’s memory to the Kokomo Rescue Mission. Stout & Son Funeral Home is assisting the family with arrangements. Messages of condolence may be left online at www.stoutandson.com.